Turn gungy grout like-new again using this easy and colorful approach! Often used as filler between tiles on the bathroom tub surround, kitchen backsplash, or foyer floor, grout can be a homeowner’s hero in warding off water and preventing surface erosion. However, as happens with white carpet or couches, lighter grout makes stains and dirt appear even more pronounced and unsightly. So, you’re not interested in a weekend’s worth of regrouting the tile every time you spot a stain—and who could blame you? Fortunately, you can easily change the color of grout to camouflage its dinginess and discoloration by using these techniques to clean, stain, and seal your existing grout. 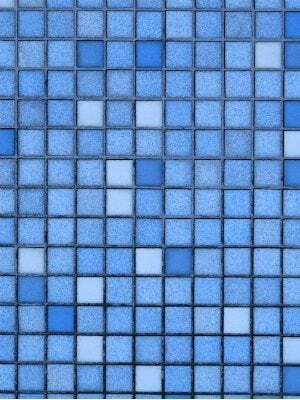 For grout to adequately absorb a stain, it will first require a thorough deep-cleaning. Pour a homemade paste of hydrogen peroxide and baking soda into the grout lines, scrub with a grout brush, rinse with clean water, and let dry for least half an hour. 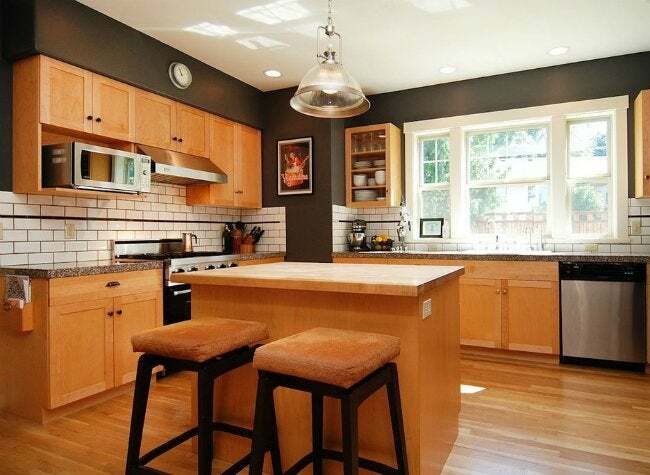 As long as the tile is non-porous and the grout porous, it should be ready for a color change! Dip a stiff-bristle brush into a dark grout stain and carefully brush it along the grout lines. As grout stain is permanent, aim to avoid contact with the tile itself as best you can, and keep a damp cloth close by so that you can wipe up any stain on tile immediately. After drying the first coat of stain for at least 24 hours, apply additional coats as needed to achieve the desired depth of color. Once the grout is perfectly stained and dried, apply an oil-based sealant to grout lines in water-exposed areas of the home. Seal the grout at least once a year to keep water and other tile threats out of reach—and dirt and discoloration out of sight for good!